Luigi Ritorto left Italy when he was ten years old and spent the next eighteen years in Buenos Aires. In 1909, he took a boat to America, where immigration officials registered him as Louis Retort. He got a job in the Union limestone quarry in New Castle and married Rose Pacella. She had two sons already. By 1930, when those boys died in an explosion in a gasoline store that they were robbing—their few remains were buried in a shared casket—eight more children had been added to the household, including Carl, the youngest. Carl grew up working on the family’s small farm. He was drafted in June, 1944, just after he turned eighteen. His brother, Harry, was shot on the first day of the Normandy invasion, six weeks later. It took him three days to die. Carl survived the war. 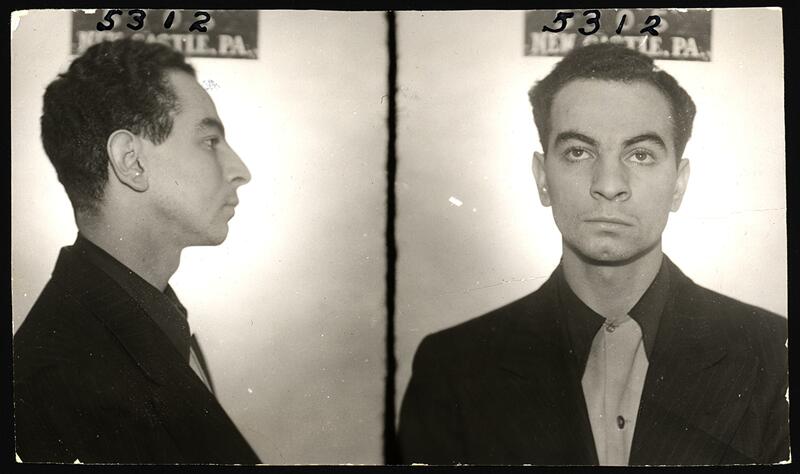 He was arrested in a New Castle bank in 1950, when he tried to cash an unsigned federal bond. He was released when he was able to prove that he had been given the bond by a man who owed him money. He moved to Cleveland not long after. His visits home were marked by occasional arrests for drunk driving and minor motor accidents. Luigi Ritorto died in Miami in 1956, at the age of seventy-five. Carl Retort died there in 2008. He was eighty-two years old. Sources: New Castle News (22 Feb 1930, “Find Bodies In Ruins”; 23 Feb 1930, “Two Caskets Are Used For Four Victims Of Fire”; 26 Sep 1944, “Edenburg”; 5 Nov 1948, “Pvt Harry Retort Funeral Monday”; 18 Feb 1950, “Bond Results In Arrest Of Two”; 23 June 1951, “Two Sentences”; 23 Jan 1956, “Three Arraigned For March Term”; 17 Oct 1956, “Deaths Of The Day”).